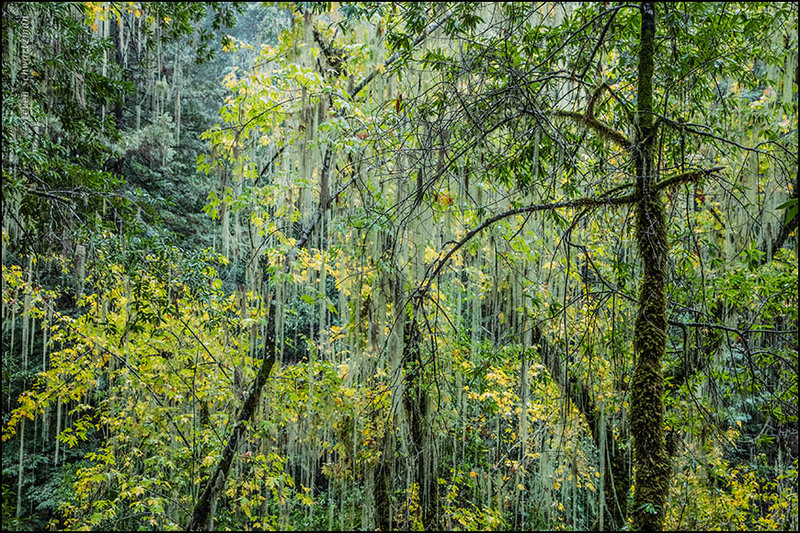 of the Armstrong Redwoods State Natural Reserve near Guerneville, California. 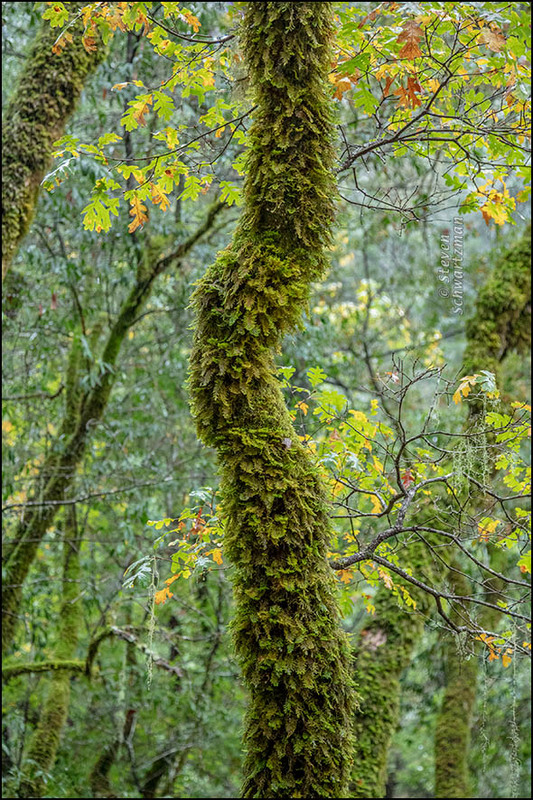 Ramalina menziesii, still suggested its own sort of precipitation from the trees. 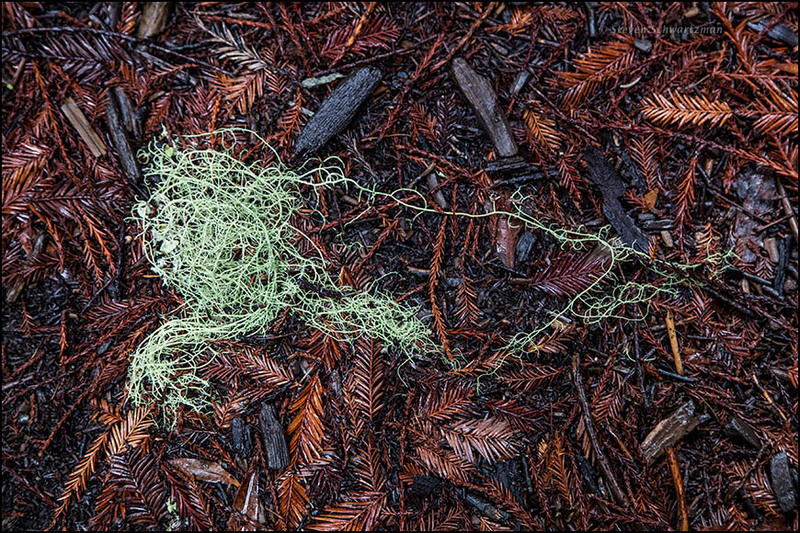 Even when fresh, bits of lace lichen end up on the forest floor, there to perish. Just because I enjoyed seeing the lush ferns in New York and Massachusetts and other places on our recent trip doesn’t mean I can’t find some good ones in Austin as well. 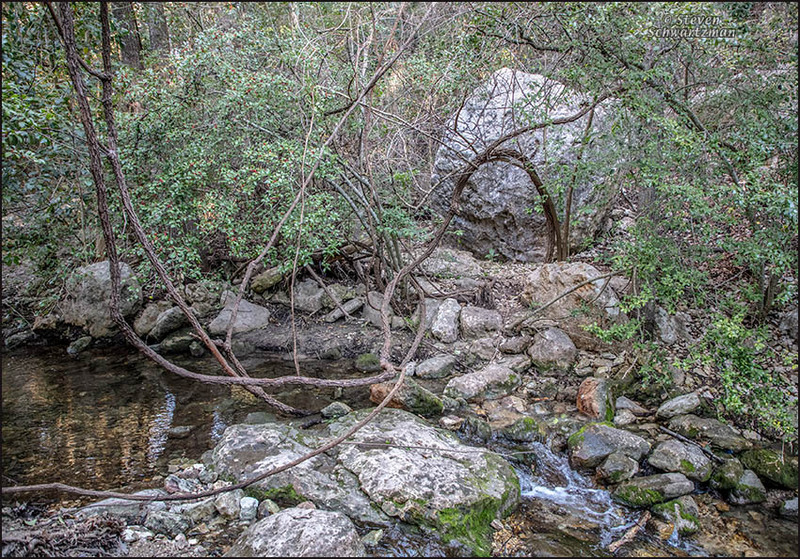 So it was that on June 24th I spent time photographing along the cliff that looms above the west side of Capital of Texas Highway between Courtyard Dr. and RM 2222. 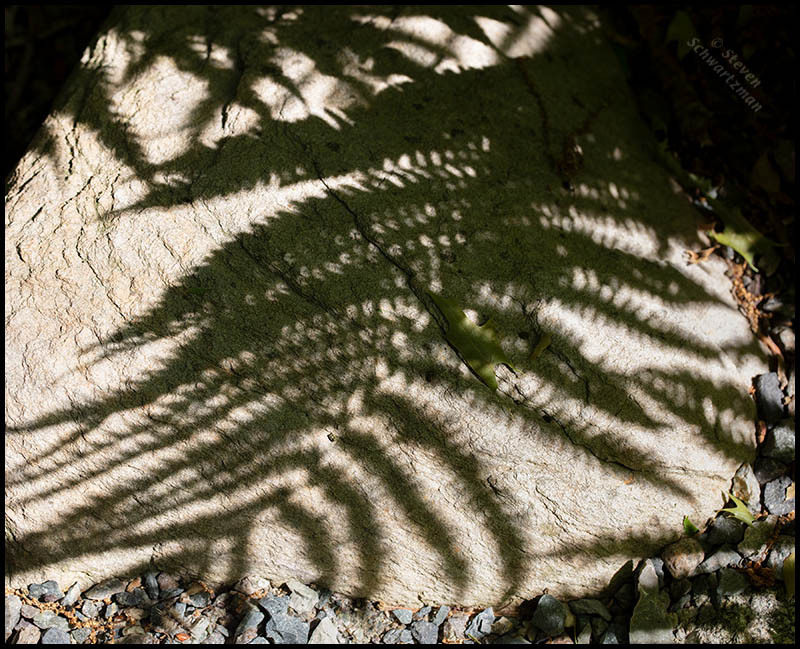 What allows ferns to thrive in such a sunny, open place is the perpetual seeping of water through portions of the rock. 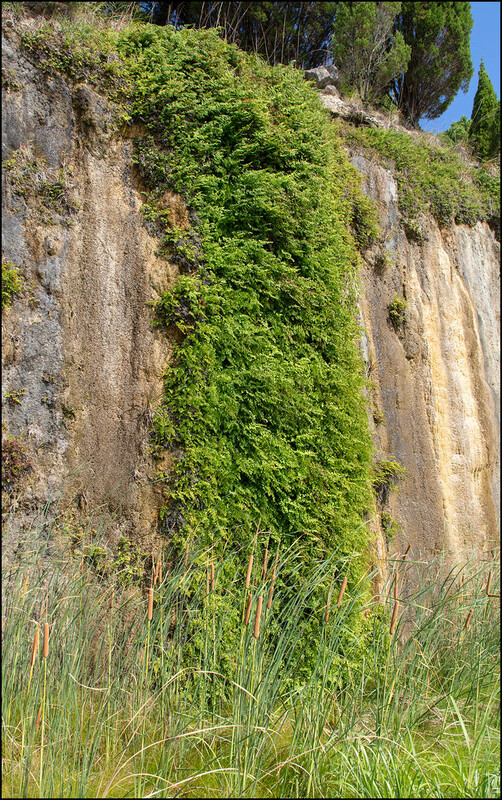 In the first picture you see how the ferns form a column from the base of the cliff right up to the top. Enough water makes it into the ditch at the base to support cattails as well. 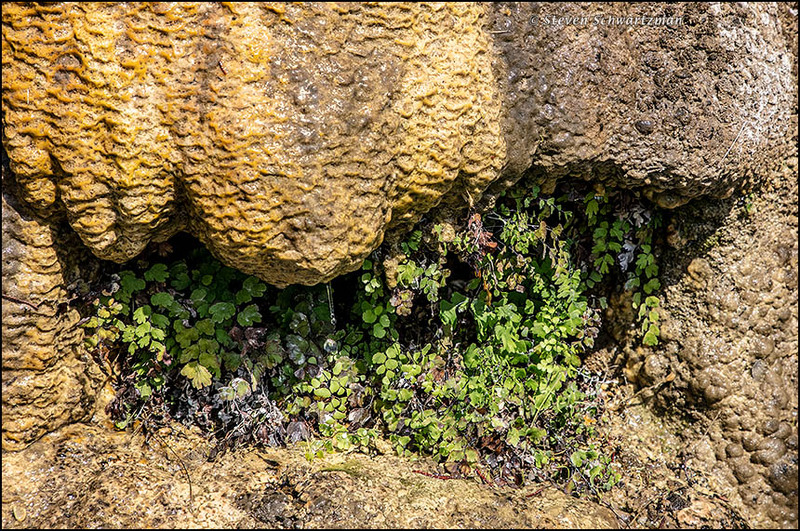 The second picture shows that little alcoves in the seeping cliff also partly shelter ferns from the full intensity of the Texas sun. 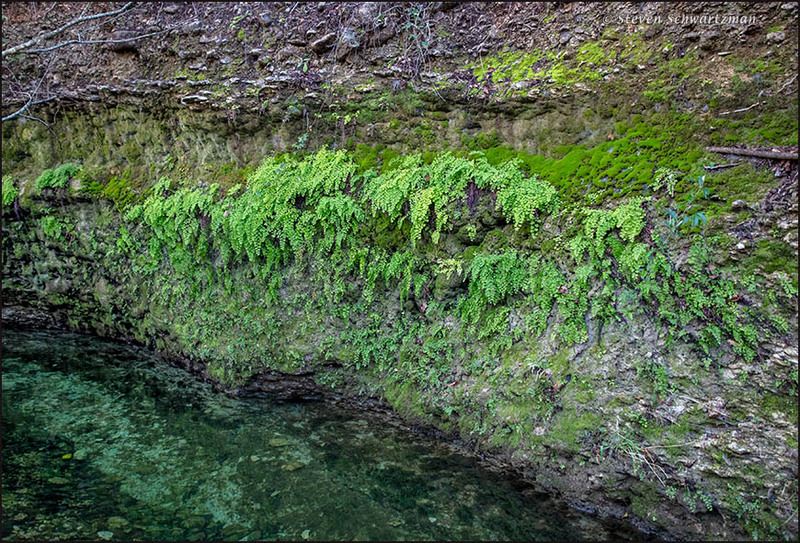 The last photograph gives a closer view of the embankment a couple of hundred feet further north, where two kinds of ferns take lush advantage of the seep. 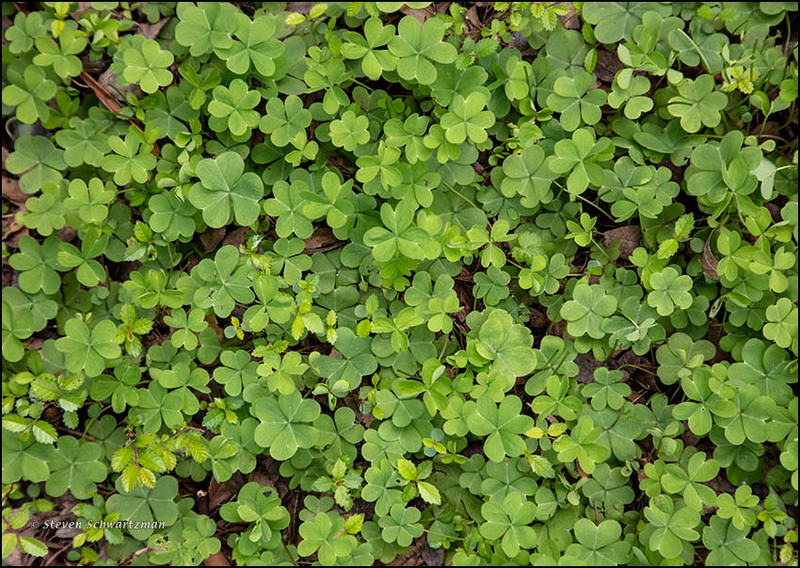 The ones in the back are Adiantum capillus-veneris, called the southern maidenhair fern. The ones overshadowing them may be Thelypteris ovata var. 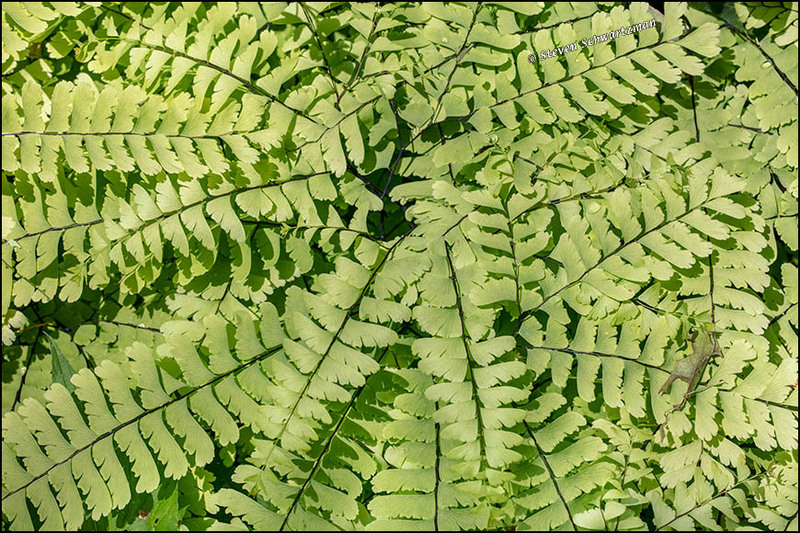 lindheimeri, known as Lindheimer’s marsh fern, which Bill Carr notes is often found growing with maidenhair ferns. 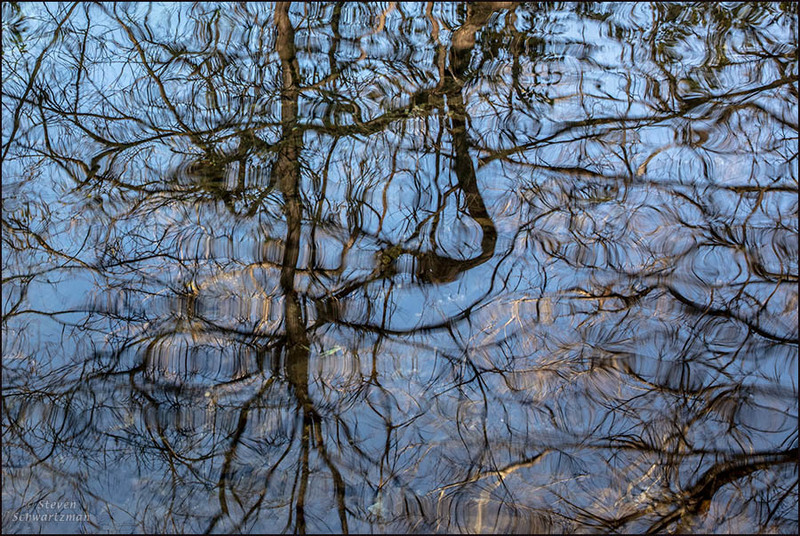 You’ve been seeing scenic pictures from faraway New Brunswick and Nova Scotia, along with plants from Massachusetts. As rewarding as traveling to exotic locales is, we needn’t travel long distances. 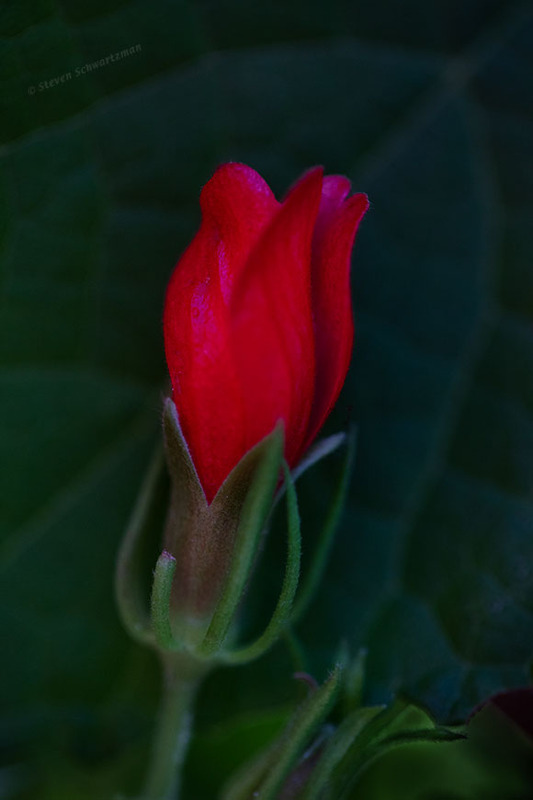 On July 12th I went as far as my front yard in Austin, sat myself down next to a Turk’s cap plant (Malvaviscus arboreus var. drummondii), and at the price of two mosquito bites over half an hour took several dozen pictures. Here’s one of those portraits, which plays up color and shape while slighting detail, thanks to the maximum f/2.8 aperture of my macro lens. 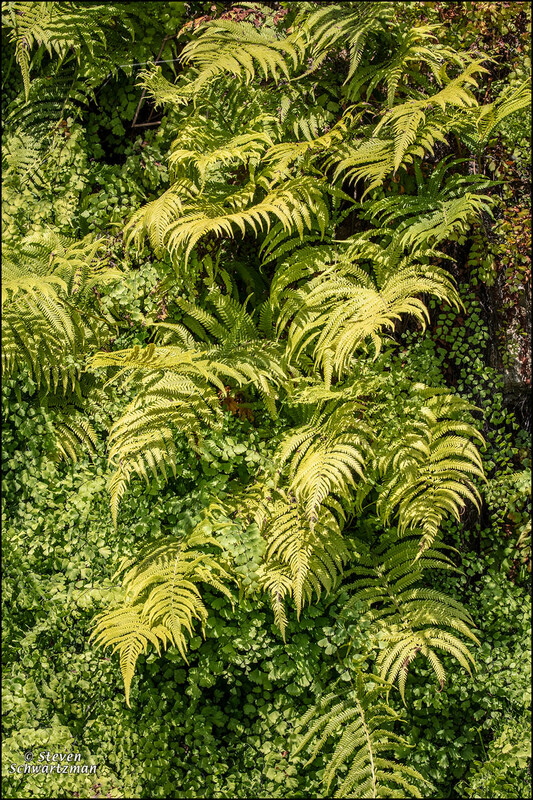 One pleasure of traveling in the Northeast is getting to see lush ferns in many places. 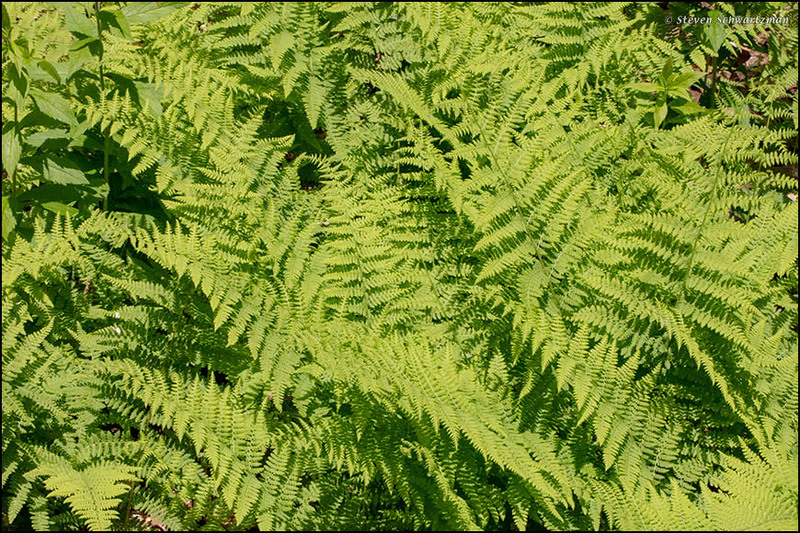 In particular, today’s green post shows you three species of ferns I photographed on June 12th at the Garden in the Woods in Framingham, Massachusetts. Thanks to horticulturist Anna Fialkoff for identifying them. 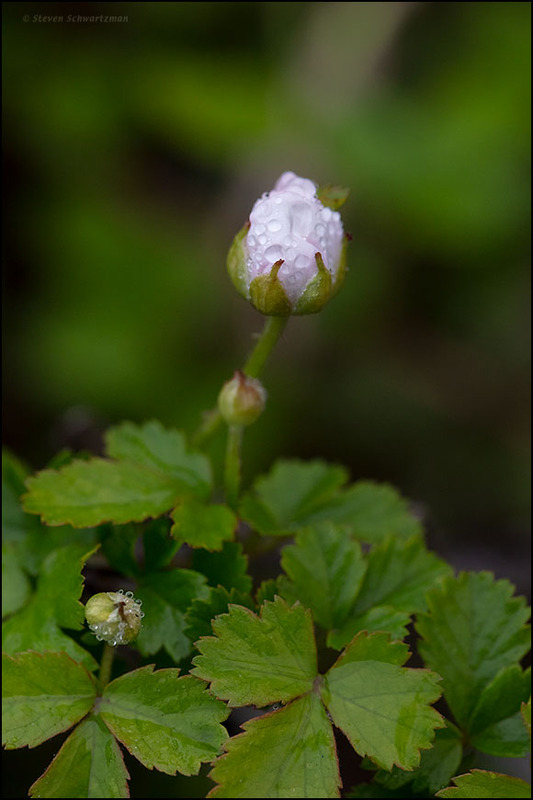 On April 10th we followed leads from Craig78681 and Betty Wilkins to head southeast in search of good wildflower displays. We ended up driving a 114-mile circuit that took us as far to the southeast as the intersection of TX 20 and TX 71 outside Bastrop. 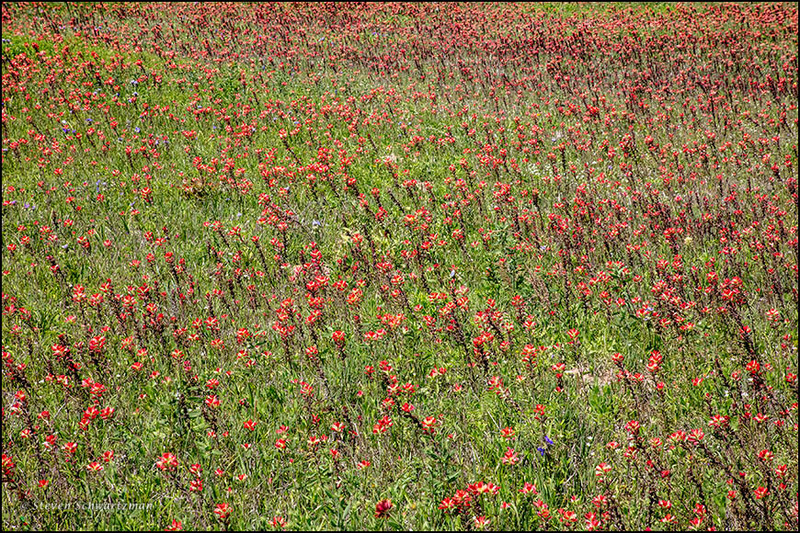 Today’s photograph shows the welcoming Indian paintbrush colony (Castilleja indivisa) we found there. That display made quite a contrast with Austin, where we didn’t see a lot of Indian paintbrushes this spring.